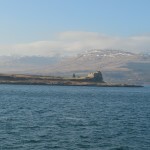 Isle of Mull is large, it could nearly be two or three different islands. 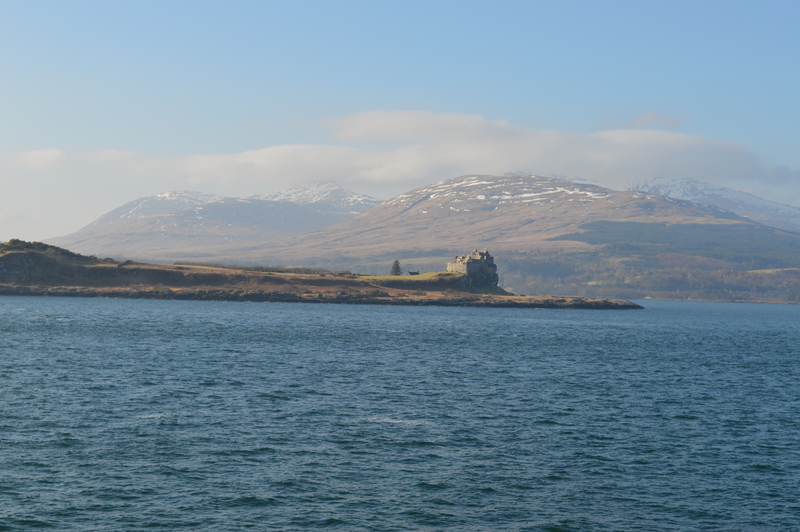 From Fionnphort, South West Mull, one makes the short ferry crossing to spiritual Iona. The people are lovely. 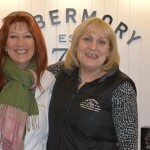 Alison Brown, Manager of Tobermory Distillery Visitor Centre, took me for a night out to the (in)famous Mishnish Bar,Jim from Calmac sorted my trip onwards to Ardnamurchan. 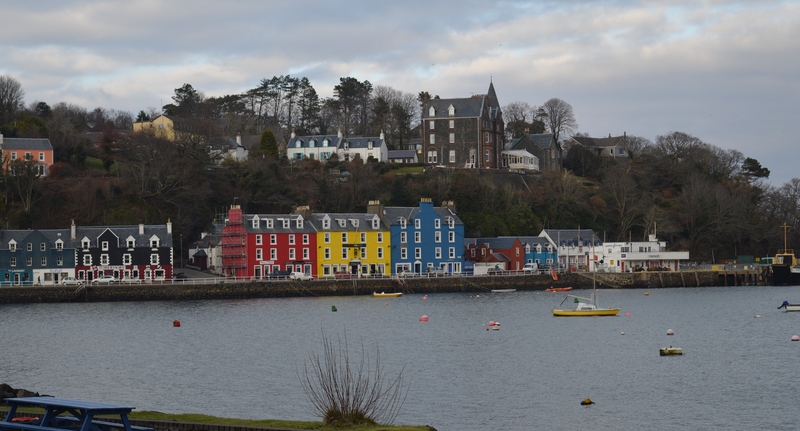 To reach Tobermory, capital of Mull, originallyTobar Mhoire~in Gaelic, Mary’s Well, one takes the ferry from Oban to Craignure & drives roughly 40 miles Northish. One is facing due East,where land and sea are tame and soft. There is little of the frenetic wind energy felt on the West. No Westerlies, no Atlantic blasts. 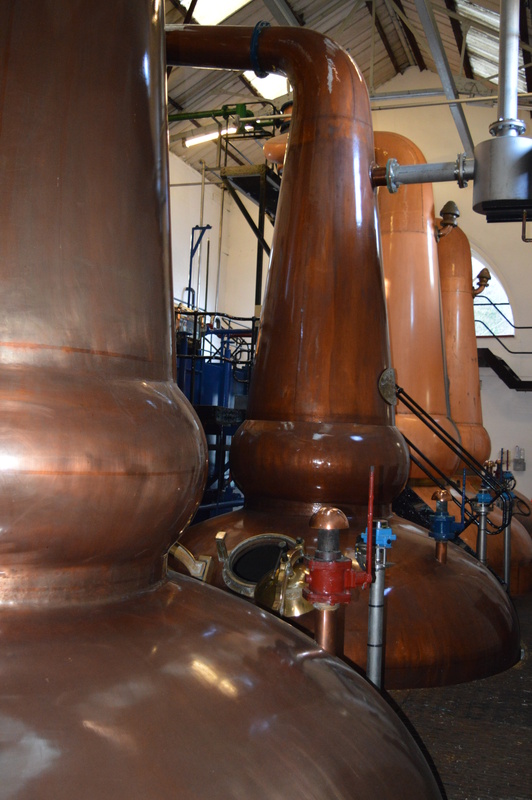 A landscape is shaped by where it faces ~ thus shapes the character of the whisky. 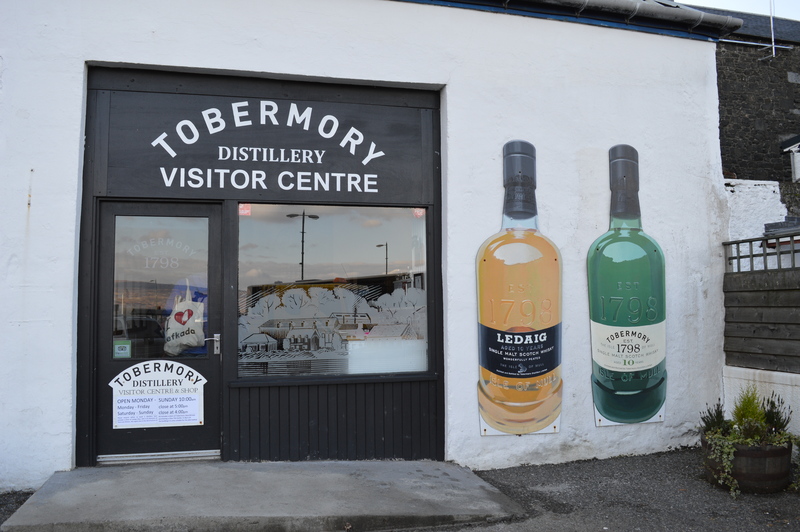 Tobermory, sitting below a basalt cliff, produces 6 months of peated spirit creating a whisky called LEDAIG, it comes in at around 39 ppm (Parts Per Million phenol is the way peat flavour is measured) and 6 months non peated spirit in the year. 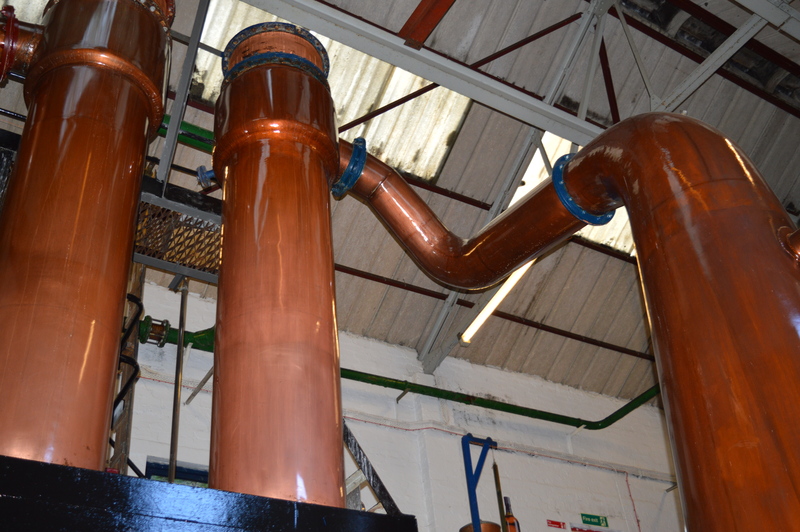 The peated malt comes from our own Islay Maltings and the rest from Simpsons. The barley variety preferred at the moment isOptic. 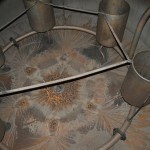 Their mashtun has a copper top and holds 12,000 ltrs. 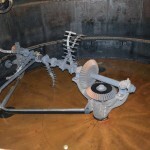 A mash takes 6 hours. 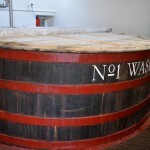 They use 2 mashes per one washback. 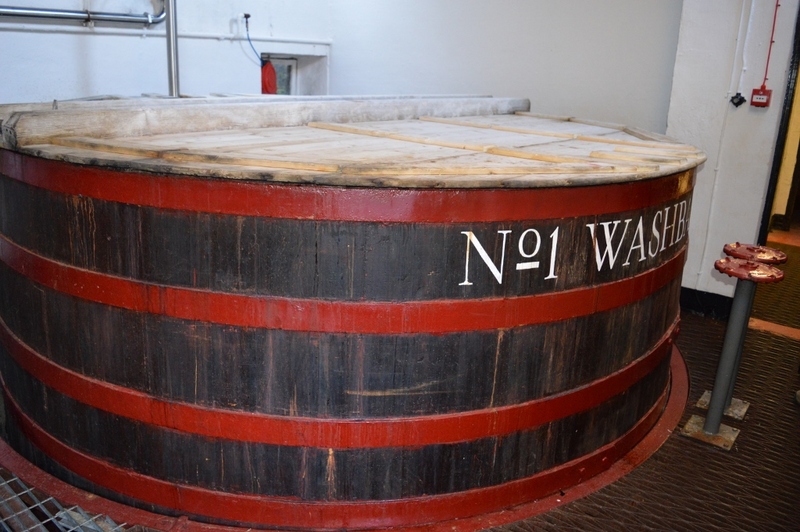 Their peaty water comes from the hills surrounding the Mishnish Lochs about 1 kilometre inland from the distillery. 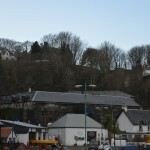 Tobermory have 4 X Douglas Fir & Oregan Pine wooden wash backs, with a capacity of 27,000 ltrs each. 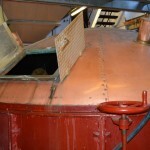 ( Two were replaced in 1972, now to be found lining the roof in the Bar-beag, the Wee Bar, atMacGochans. ) 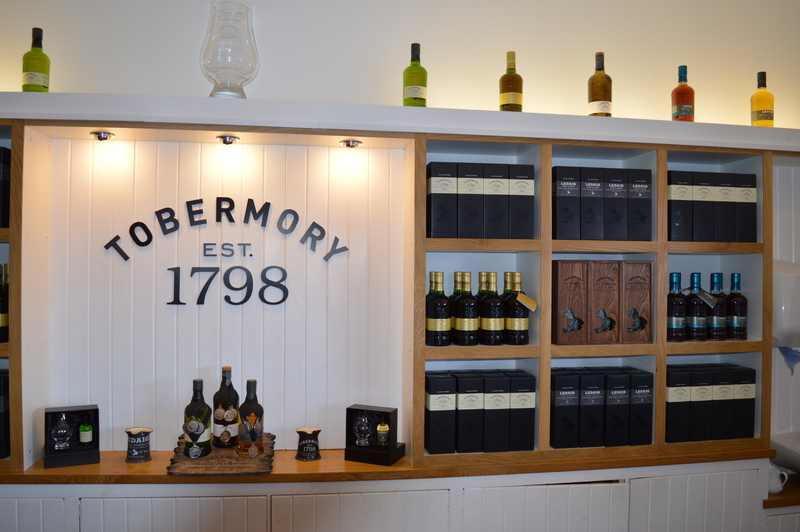 Tobermory have a 90 hour fermentation ~ this is long, and produces fruitiness in spirit. 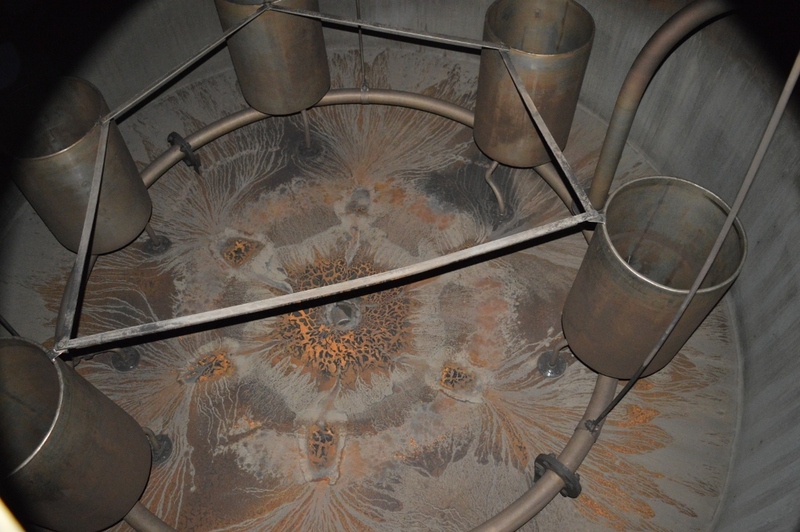 Two things here are similar to Jura Distillery ~ long fermentation and two mashes per single fermentation. The yeast is Kerry M. The wort/wash is chalky white with big bubbles turning ever so light pale yellow later. 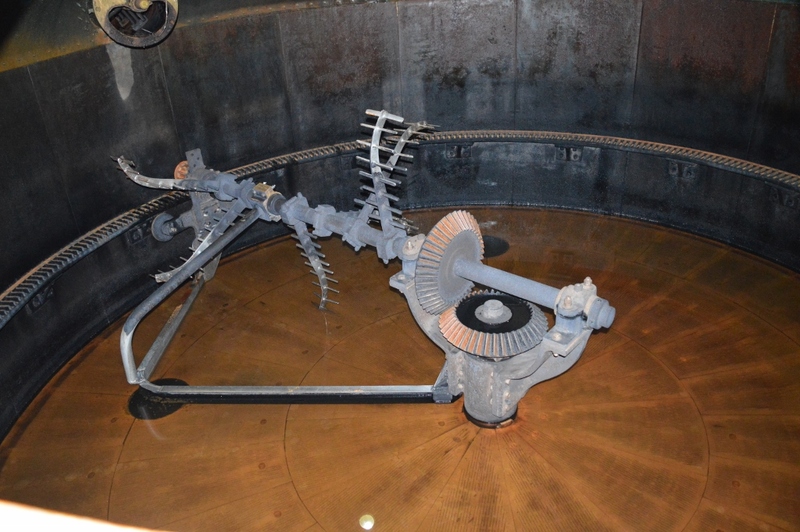 They have 2 Wash stills (18,000) and 2 Spirit stills (15,000) The distillation time is around 8 hours and their spirit cut can start at 59 degrees. This, again is similar to Jura. 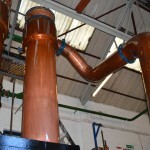 However, there is a big difference in the shape of the stills. 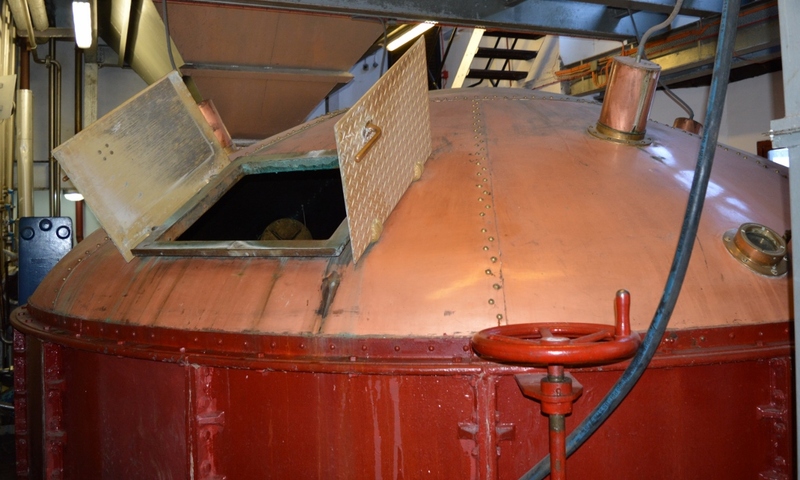 The Tobermory stills are small and have a dog legged lyne arm which is very distinct. 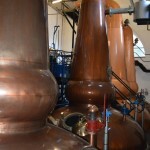 They store most of their spirit atDeanston, their sister distillery near Perth as Tobermory don’t have warehouse space. 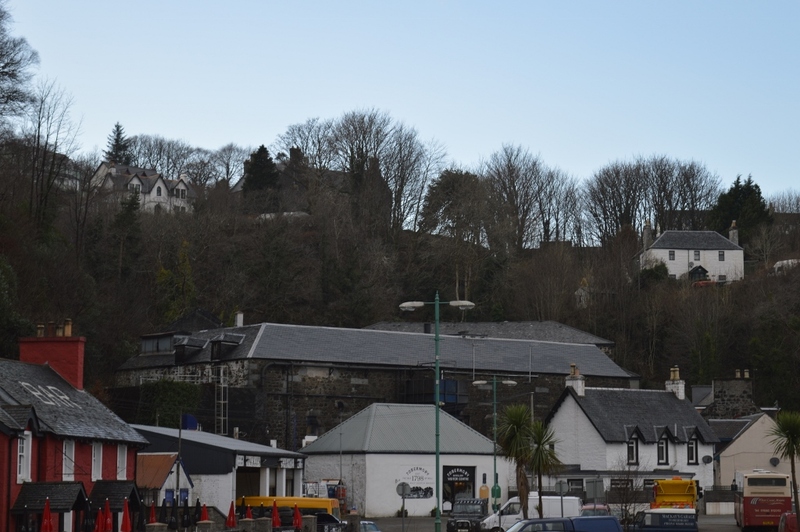 Their warehouses were sold in 1982 and are now flats overlooking the distillery. 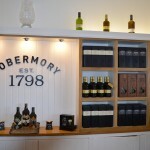 TOBERMORY 10 YO46.3% abv (alcohol by volume) which has been in a bourbon cask. It is citrus, light and reminded me of roses! I like this dram. TOBERMORY 15 YO46.3% abv, which spent it’s last year in a 1st fillOlorososherry cask. It is oakey, sherried, custardy, and made me think of furniture polish. 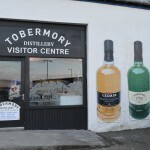 TOBERMORY 20 YO56.1% abv, which has been inPedro Ximenezcasks. It is silky and thin reminding me of prunes, polish and burnt sugar. LEDAIG 10 YO 46.3% abvwhich is the peaty expression from Tobermory. 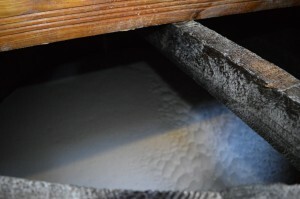 It is smoother with a dryness at the end and a silkiness. LEDAIG 18 YO 56.3% abv this is peaty, raisins, sherried, very dry mouthfeel, tingle on end of tongue. Ledaig Pronunciation&meaning: Ledaig comes from Leathad Beag which means slope or brae, and also translates as safe haven. 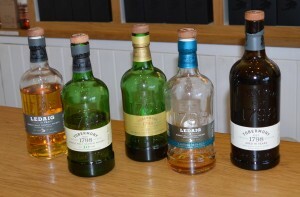 I found the Ledaig light, not voluptuous, so light they have a dryness. All the sensation is in the mouth, not in the chest ~ so, not with a lingering finish the way one would experience say, a Lagavulin. 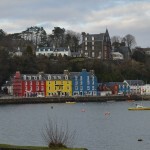 The Tobermory whiskieslet us taste Mull. Thank you to Alison and Craig for your hospitality.